On the first gorgeous day in Manhattan, having no where to be after work, I did what every New Yorker does during the first week of Daylight Savings Time – WALK and loved it! 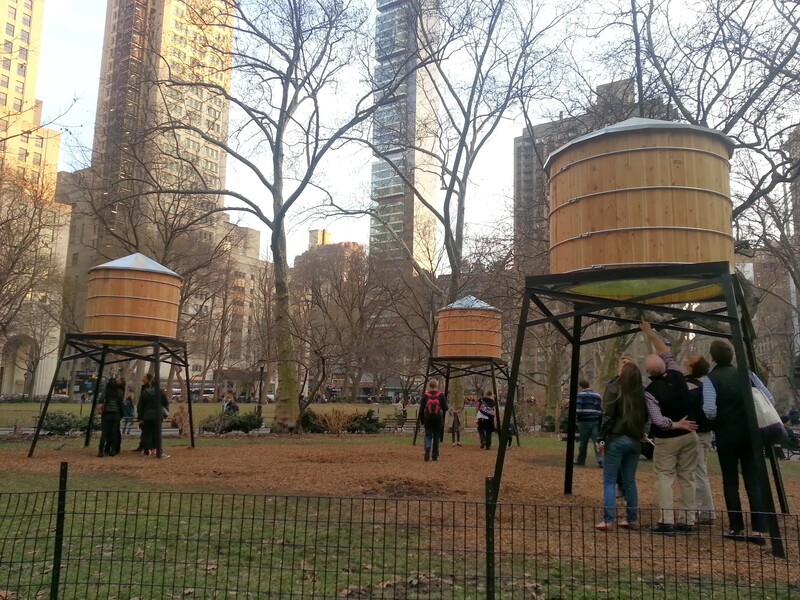 On my journey home, I passed by Madison Square Park and was immediately drawn to the three 16 foot water towers – well, sculptures – anchoring the northwest corner of the park. We typically see these barrels living on rooftops, but here, in this park, they are at the base of tall buildings of which we wouldn’t normally be able to see them. 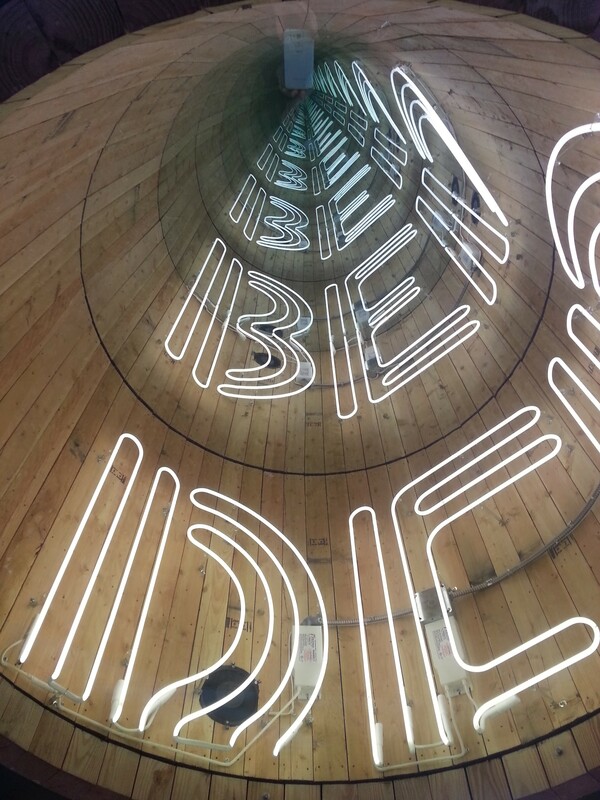 This dichotomy of urban landscape and a historical “symbol of available employment” is exactly what Ivan Navarro wanted to depict in the creation of this exhibit. Although these structures only stand 16 feet tall, Ivan has used a series of neon lights and mirrors to showcase a different perception. Standing at the base and looking up into them, it appears that the towers can continue to provide this essential in life as they rise high above their historical heights. Check them out before they are removed April 13th. Saturday should be another great day for a walk and a journey. 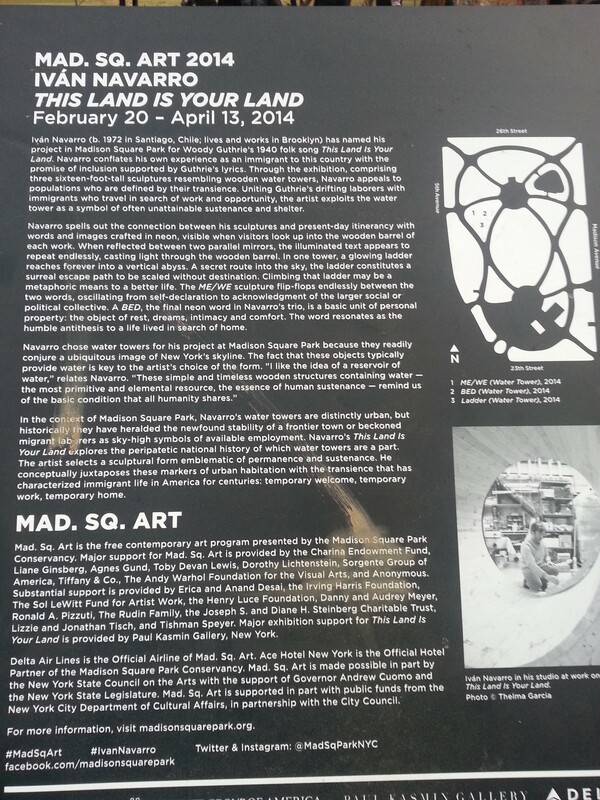 This entry was posted in art and culture and tagged daylight savings time, Madison Square Park, water tower. Bookmark the permalink.